Get Access to TradCatKnight’s Exclusive Content! THERE IS AN ABUNDANCE OF INFORMATION BEING RELAYED DAILY (25-50 POSTS)! THE ONLY WEBSITE YOU WILL NEED FOR THE UPCOMING TRIBULATION…. This could be easily be priced at 20+$ dollars a month (ONLY 10$ A MONTH)! TradCatKnight is #1 ranked Catholic channel and Top 15 Christian channel (According to Feedspot)). My special guest podcast/radio show list is second to none. Some of my guests include: George Neumayr, Fr. Paul Kramer, Louie Verrecchio, Cornelia Ferreira, Dr. Sungenis, Dr. David Allen White, Dr. Chojnowski, Michael Voris, E. Michael Jones, Msgr. Perez, Fr. Voigt, Paul Craig Roberts, Dave Hodges, Sean from Sgtreport, Doug Hagmann, Michael Snyder (Economic Collapse blog) Dahboo7, Gavin McInnes, Josh Tolley, Stan Deyo, L.A. Marzulli, John Moore, Marshall Masters, Anthony Patch, Dr. Ted Broer, Tim Kennedy, Gerald Celente, Lynette Zang, Dr. Duke Pesta, Teral Blackstar, MrMBB333, Dr. Bill Warner, Shoebat, Dane Wigington, Constance Cumbey, Liz Crokin, Sarah Westall, David Dees, Ben Garrison, Charlotte Iserbyt, Captain Mykel Hawke #1 ranked survivalist, all top preppers and economists/geopolitical analysts, V the Guerilla Economist, Max Igan, Leo Zagami, James Perloff, E. Michael Jones, Ben Davidson (Suspicious Observers), Patrick Wood, SyrianGirl, Robert Steele, Dr. James Fetzer, Wayne Root, Jon X Army…. 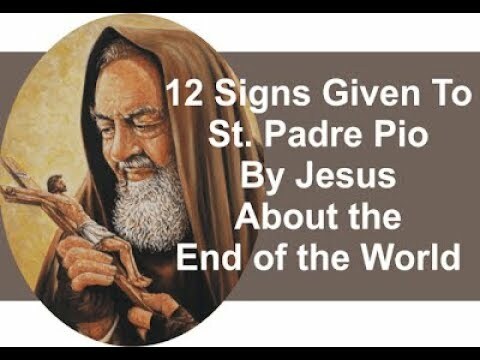 TradCatKnight is a traditional Catholic website that covers: the apostasy in the Catholic Church, the coming one world religion/ New Age, False Prophet & Antichrist, prophecy, real 3rd secret of Fatima, Zionism, Islam, patriotism, various endtime subjects, DAYS OF LOT, latest earth changes, health, GMO’s, prepper/survivalism, geopolitics, economics, geo-engineering, illuminati, freemasonry, mainstream media brainwashing, Agenda 2030, new world order, Planet X/Niburu, FEMA Camps, Mark of the Beast, phony alien disclosure forthcoming, project bluebeam, HAARP/SCALAR weaponry, weather wars, chemtrails, Vaccines, global depopulation and MORE! FAST GROWING COMMUNITY WITH A 99 % RENEWAL RATE!! All LIVE & replayed “live call in” shows, all live Youtube streams/conferences, Eagle messages, never before seen writings & poems from my book “Fortress of the Soul”, exclusive writings/analysis which will not be accessible anywhere else, advertise for free, my personal “whats app” number, commenting available on all posts, MESSAGE BOARD, LIVE INTERACTIVE CHAT, be published yourself, be a cohost with me for my show and MUCH more! All this for only 10$ a month which works out to be about a little over a 30 cents a day! NO LONG TERM CONTRACTS. MONTH TO MONTH BASIS! STRIPE IS A FAST, EASY, SAFE & SECURE PAYMENT PROCESSOR WHICH ACCEPTS YOUR BANK/CHECK/CREDIT CARD SO NO WORRIES! PLEASE HELP KEEP THIS APOSTOLATE OPERABLE! What Would You Like To See On TCK PREMIUM? PREDICTIVE PROGRAMMING: What are the odds ?! Coincidence ? Connection between The Simpsons and Notre Dame ? TCK ON CENSORSHIP FREE BITCHUTE! DR. SUNGENIS: FLAT EARTH? FLAT WRONG! Hey Eric—sounds like another great show coming up this Sunday. It might be good time to get Dr. Chojnoski back on soon—sounds like an update to his facial recognition study of Sister Lucy is forthcoming. I’d also like to hear again from Louie Verrecchio, E. Michael Jones, Father Hewko, Father Chazal (if possible—not sure I’ve heard him interviewed on your show but will look), Msgr. Perez, Father Voigt, Hugh Owen, and Bernard Janzen. Hi Eric. God bless your work. I’m now with the Resistance but as expected getting grief from the friends in the Indult Church. I’ve spoken about Vatican 2 and Rome no longer being catholic but it’s fallen on deaf ears They don’t want to listen. These are traditional Catholics who go to the Latin Mass Anti Pope Francis is coming to Ireland next month. All the novus ordo people think it’s great. I’m shocked at their ignorance. I’m hoping he won’t come as we are no longer a catholic country following the abortion referendum. Outside forces incl Soros had a big part to play in that. Keep up the great work. I listen to you on U tube. Your apostolate is thoroughly exceptional for the way has tied to together important matters under the auspice of Catholic/Marian prophecy, including the matter of the utter atrocity who is the present (false) claimant to the Chair of Peter. There is also your emphasis on Fr. Kramer, who had been Fr. Gruner's "right-hand man," in terms of the practical theological and canonical understanding of our times, but who, since Fr. Gruner's death, has been condemned by the Canadian edition of The International Fatima Rosary Crusade and others from the U.S, including Michael Matt and Christopher Ferrara. Go forth confidently then, you knights, and repel the foes of the cross of Christ with a stalwart heart. Know that neither death nor life can separate you from the love of God which is in Jesus Christ, and in every peril repeat, “Whether we live or whether we die, we are the Lord’s.” What a glory to return in victory from such a battle! How blessed to die there as a martyr! Rejoice, brave athlete, if you live and conquer in the Lord; but glory and exult even more if you die and join your Lord. Life indeed is a fruitful thing and victory is glorious, but a holy death is more important than either. If they are blessed who die in the Lord, how much more are they who die for the Lord! How secure, I say, is life when death is anticipated without fear; or rather when it is desired with feeling and embraced with reverence! How holy and secure this knighthood and how entirely free of the double risk run by those men who fight not for Christ! Whenever you go forth, O worldly warrior, you must fear lest the bodily death of your foe should mean your own spiritual death, or lest perhaps your body and soul together should be slain by him. Indeed, danger or victory for a Christian depends on the dispositions of his heart and not on the fortunes of war. If he fights for a good reason, the issue of his fight can never be evil; and likewise the results can never be considered good if the reason were evil and the intentions perverse. If you happen to be killed while you are seeking only to kill another, you die a murderer. If you succeed, and by your will to overcome and to conquer you perchance kill a man, you live a murderer. Now it will not do to be a murderer, living or dead, victorious or vanquished. What an unhappy victory–to have conquered a man while yielding to vice, and to indulge in an empty glory at his fall when wrath and pride have gotten the better of you! The knight of Christ, I say, may strike with confidence and die yet more confidently, for he serves Christ when he strikes, and serves himself when he falls. Neither does he bear the sword in vain, for he is God’s minister, for the punishment of evildoers and for the praise of the good. If he kills an evildoer, he is not a mankiller, but, if I may so put it, a killer of evil. He is evidently the avenger of Christ towards evildoers and he is rightly considered a defender of Christians. Should he be killed himself, we know that he has not perished, but has come safely into port. Once he finds himself in the thick of battle, this knight sets aside his previous gentleness, as if to say, “Do I not hate those who hate you, O Lord; am I not disgusted with your enemies?” These men at once fall violently upon the foe, regarding them as so many sheep. No matter how outnumbered they are, they never regard these as fierce barbarians or as awe-inspiring hordes. Nor do they presume on their own strength, but trust in the Lord of armies to grant them the victory. “You are the ones who are happy; you who remain within the Church by your Faith, who hold firmly to the foundations of the Faith which has come down to you from Apostolic Tradition. And if an execrable jealousy has tried to shake it on a number of occasions, it has not succeeded. They are the ones who have broken away from it in the present crisis. No one, ever, will prevail against your Faith, beloved Brothers. And we believe that God will give us our churches back some day.